After a semester studying in Europe, it became obvious to Carla Snyder that a large portion of the world didn't eat to live, but lived to eat. With a BA in Journalism in hand, she began a 30-year culinary journey as a caterer, cooking school teacher, artisan baker, food writer, corporate culinary event planner, cookbook co-author and co-owner of Kitchen Counter Points cooking school. Carla's passion for all cuisines has helped thousands to get delicious food on the dinner table with more ease, fun and style. 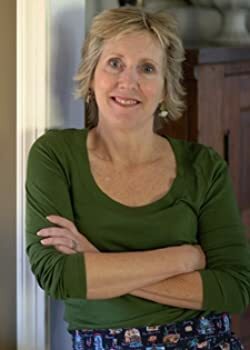 With "pen-pal" Meredith Deeds, Carla is the author of 5 cookbooks including The Big Book of Appetizers, a nominee for the 2007 James Beard Awards and 300 Sensational Soups, chosen by Good Morning America as one of the best cookbooks of 2008. Carla's latest release is titled One Pan Two Plates: More than 70 weeknight meals for two. "It started out as a cookbook for people who love to cook but hate to clean up and morphed into a book of complete meals for two cooked in one skillet. It's the only way I make dinner now." Check out Carla's blog at www.ravenouskitchen.com for weekly recipes and professional tips to help you cook better food in less time with less stress. Please enter your email address and click the Follow button to follow Carla Snyder!